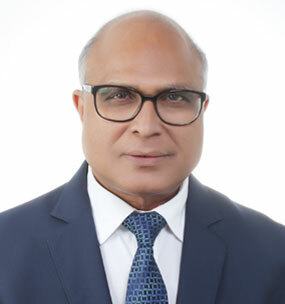 Mr. Ashok Maheshwary is the Founding and Senior Partner of Ashok Maheshwary & Associates and has more than thirty years of experience in the fields of Corporate Financial & Tax Consultancy. He chose to practice as a Fellow member of the Institute of Chartered Accountants of India having passed the examinations of Chartered Accountancy in 1981. Mr. Ashok Maheshwary has rich experience in the fields of Assurance, Financial & Legal Corporate Consulting and Taxation. He currently takes care of Income-tax assessments, appeals representing clients at Income Tax Appellate Tribunal. Mr. Ashok Maheshwary continuously endeavors to help the clients achieve the desired results through customized and innovative solutions which involves focusing on exploring opportunities and leveraging them to enhance the growth and expansion of his clients.